Team Volte first met the terrific twins before they graced our screens on “Married At First Sight”. This dynamic duo had the nation glued to their TV screens to watch their journey on MAFS. Who can blame them? Sharon and Michelle are not only genetically blessed, they also have fantastic style and are admired by girls all over the country. The Marsh girls have been wonderful clients and a great addition to our #voltesquad. To top it off, they both truly have a heart of gold! We spent 5 minutes with the gorgeous Michelle Marsh to talk about her style and why renting is the way forward. V: Who is your biggest style influence? M: I absolutely adore Jennifer Hawkins. She is perfectly groomed, elegant, sophisticated, fun and cheeky – with that girl next door vibe about her. She always looks on point. V: What designer trends are you loving right now? M: I’m still loving the tassels, which were once a casual boho influence and are now translating into your more ‘dressier’ styles. V: What made renting a dress from The Volte so appealing to you? 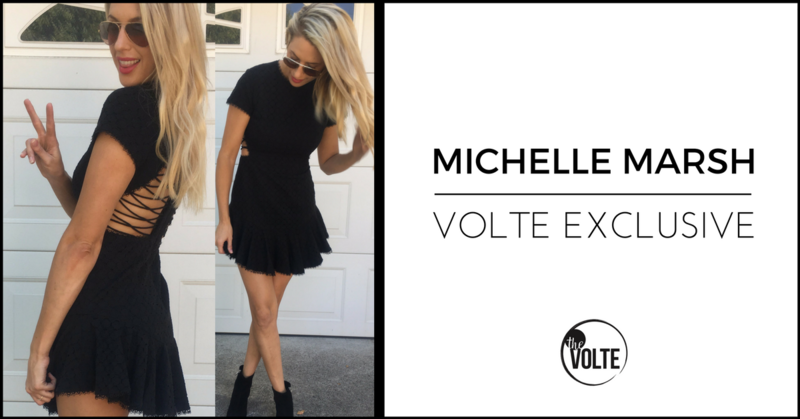 M: There are SO many reasons why The Volte has changed the way I shop and dress. Firstly, it just makes sense. I usually don’t wear my dresses more than a few times, so the hire concept is practical and logical. 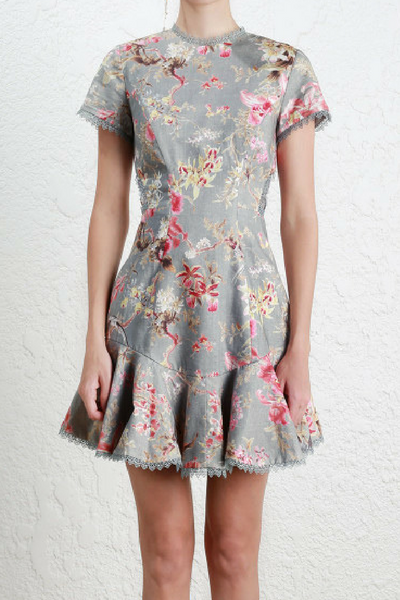 The dress is delivered to my house by Australia Post with a return bag. I don’t even have to worry about the washing part of it (they dry clean at their end – it’s too easy)! Jade from the Volte now knows my style and suggests styles in advance for me. My little personal fashionista! The Volte Instgram page makes it so easy to browse and select products. Its fashion heaven. V: What four dresses from The Volte would you love to wear next? V: Why would you recommend The Volte to your girlfriends? M: It’s so easy! It’s online, affordable, delivered, the dry cleaning is included and you don’t have to worry about it sitting in your wardrobe gathering moth balls.